Guide price £110,000 to £120,000 - Please call to arrange a viewing! - Charles Carr are proud to announce this absolutely stunning purpose built one bedroom apartment. 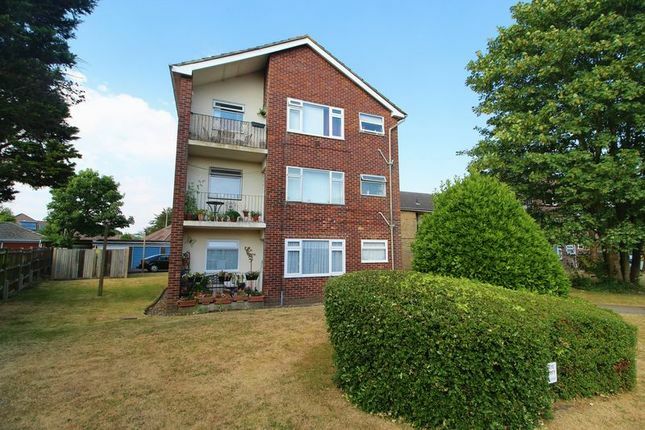 Maintained to an extremely high standard the property offers one double bedroom, a lounge-diner, a modern fitted kitchen, a modern bathroom, a private sunny balcony and its own garage! Externally there is plenty of un-allocated parking, communal gardens, and a private garage that has recently had a new up and over door. The property has access through a communal entrance via a security door which leads onto a communal stairwell. Property found on the third floor, and entrance in to the property is through a solid wood door. The Entrance Hall has a skimmed ceiling and walls with wooden laminate flooring. Storage cupboards which house utility meters. The modern bathroom has a skimmed ceiling with coving, tiles from lino floor to ceiling. Three piece bathroom suite which comprises of a panelled bathtub, WC and wash-hand basin with an integrated vanity cupboard, also has a power-shower installed and a heated towel rail. The Bedroom is a large double in size and is nicely decorated with skimmed ceiling with coving, skimmed walls with one separate wallpapered feature wall and a cream carpet. Has a single light pendant fitted, double radiator and a double glazed window looking out to the front aspect with added TV points available. Please seek verification on these fees from your solicitor on offer acceptance. They have been provided by a third party and Charles Carr hold no responsibility for accuracy.